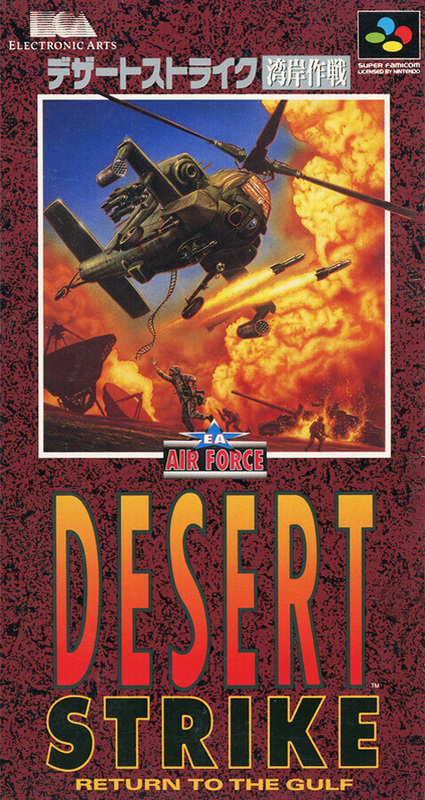 Shooting game with Gulf War motif. Players operate state-of-the-art helicopter AH-64 Apache. Move inertia like a real helicopter. The screen is something looked down from diagonally above and scrolls in all directions.